With our many years of experience in server maintenance, we have had numerous incidents where our client’s servers went offline due to hard disks failure. There are also cases where data was lost due to deletion of folders by staff either accidentally or by sabotage because of some internal dispute with management. There was a serious series of cases in 2015 when file servers at multiple sites were hit by a ransomware called cryptowall. Once infected with the ransomware, it will start to encrypt all folders and files on the file server and cause the files to be unrecoverable. The importance of backup processes. 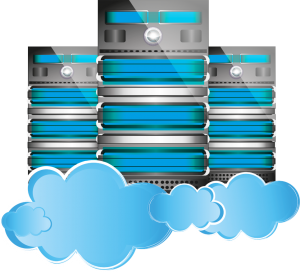 Backup is one of the most important tasks in IT server maintenance and system administrator responsibilities. For managing backup of our client servers, we will first setup our backup solution within the client infrastructure and configure automatic scheduled backups with monitoring processes. We highly recommend and use backupassist for our backup process. BackupAssist is a Windows Server Backup and Disaster Recovery application. Built and marketed to the small to medium enterprises (SMEs), it provides protection for Microsoft Windows Server, Windows Small Business Server, Hyper-V, Active Directory, Microsoft Exchange and Microsoft SQL Server. Even with add-on cost for Microsoft Exchange, Microsoft SQL Server and offsite backup features, the cost of the backup assist is still affordable and reasonable for SMEs as compared to other backup software on the market that could cost thousands more. One of the key features of backup assist is the detailed backup reports and notifications. In the event that the backup process failed, our helpdesk team will be alerted via email and we are able to respond and resolve the issue within the next business day. For local backup, we will setup and configure a remote USB-powered drive that will be attached to the server or network storage directly as backup media. For offsite backup, we recommend deploying a Linux NFS or Synology network attached storage (NAS) in our server rack housed at Singapore’s M1 Datacenter as backup and storage media. All backups are transmitted over a secure SSL connection and will remain encrypted during delivery and storage. Unless otherwise stated by clients, we will proposed implementing the following options of scheduled backup procedures to ensure that multiple copies of backup are available. This enables us to restore the latest copy of files/folder/mail store/databases in the event of disaster recovery. This enables us to restore backup date of up to the previous week in the event that the servers are hit and infected by virus/malware or sabotage by staff. Monthly full backup with 12 months of archive backup data. This is for audit and regulatory compliance. One of the oversights for many system administrators is not testing the backup. We make an effort to test the backup at our computer lab by recovering of files/folders and also restoring VSS window imaging. This ensures the backup process is successfully. Please be reminded to backup all your important digital assest.